AIGA SF is the San Francisco Chapter of AIGA, the professional association for design. Gee + Chung Design was one of 26 Bay Area designers selected to create a philatelic alphabet stamp. 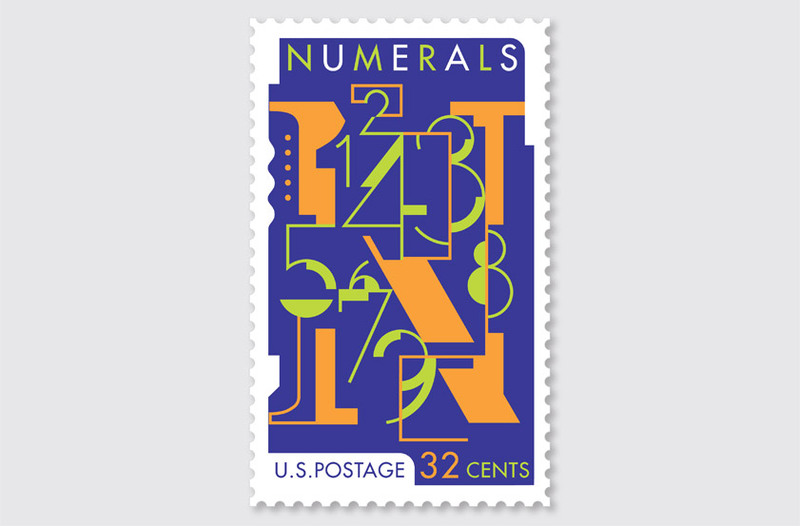 Our letter “N” stands for “Numerals” and the convention of using numerals to denote a stamp’s value as postage. The project was honored with an exhibit at the National Postal Museum in Washington, D.C.